Apple iPhone 4 launching in India on May 27. iPhone 4 has many new features than the previous model. 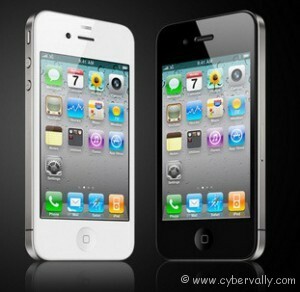 iPhone 4 is available in 2 colors black and white and iPhone 4 is coming with 16 GB, 32 GB. Two major mobile service providers named Airtel and Aircel have announced that they will be releasing this smartphone for both, postpaid and prepaid customers. 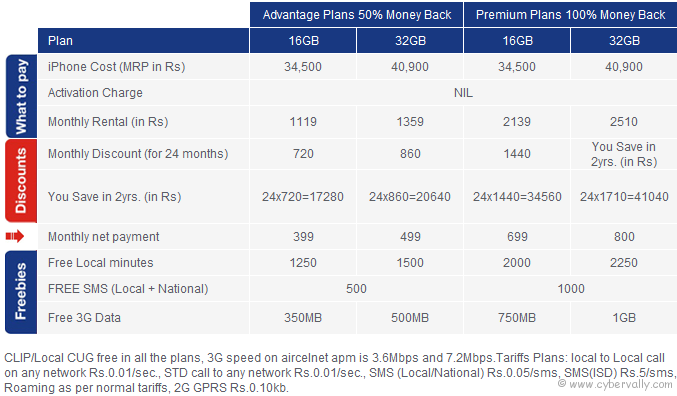 Check out all the tariff plans for Aircel prepaid and postpaid users. As per the official announcement by Aircel, price of iPhone 4 will be Rs. 34,500 for 16 GB version Rs. 40,900 for 32GB version. iPhone 4 Postpaid Tariff plans in India. The iPhone is available in the following prepaid plans.